Fifty years removed, it’s still a bit haunting to be counted among the Crypt Keeper’s many “little pretties.” With the power of Dark Horse, Tales from the Crypt Volume I has been extracted from the EC Archives and framed within a sleek, new hardcover. The trudge through this collection may feel a bit stale in a world of MUTAFUKAZ and Fight Club 2, yet the reflection is entirely worth it. Journeying back to what most likely terrified our grandparents, Tales from the Crypt offers a few modern frights as well. 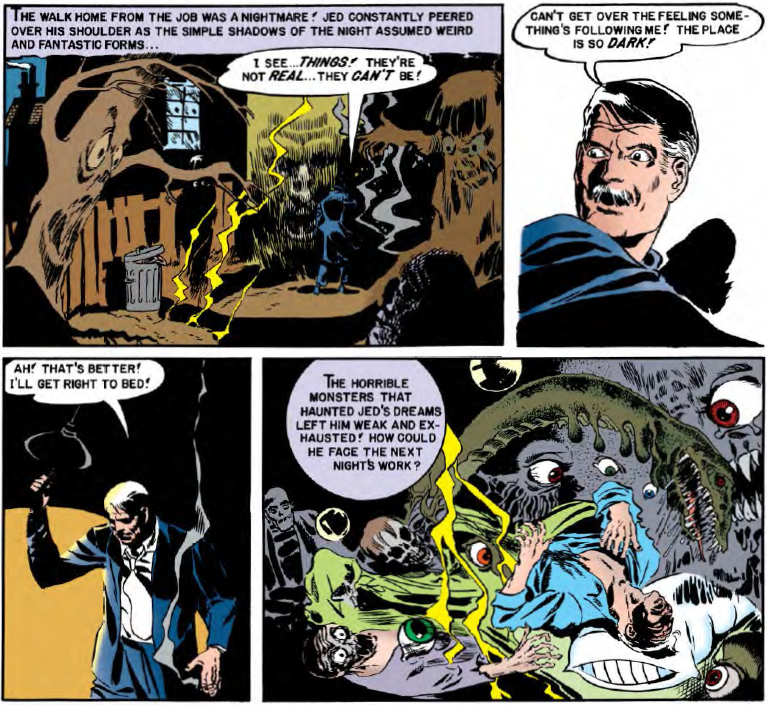 A forward by John Carpenter places it into a better perspective, as he cites the pulp horror comic as “insurrectionary against the culture of Eisenhower and Walt Disney.” The modern tendrils of the counter-culture can be seen pretty easily when considering much of the Tales’ grim subject matter: undead, sociopaths, curses, haunts and all other forms of Golden Age macabre. The collection brings a nice slice of Americana from beyond the grave. Illustrated stories are often proceeded by short pieces of prose, usually involving themes similar to the tales that begot them. Better yet, preserved advertisement of EC’s Picture Stories from American History and Picture Stories = Bible put one in the mood for the cheesiest of scares, and maybe an old-fashioned. Tales’ content still holds up, aging better with layers of proverbial cobwebs. “The Maestro’s Hand” and “House of Horror” implement tropes we would now consider classic, while “Zombie!” tends to feel decades ahead of its time. Some bits are bit less exhilarating than you may expect but restored art paired with crisp, bold figures make even the most difficult of entries worth diving into. Some instances shine far beyond the rest, but there’s something in each entry worth lauding. On that note, the restoration staff of Dark Horse did a hell of a job bringing these classic works back to life, fortunately with a bit less grime than the corpses that populate the collection’s pages. Johnny Craig’s art has never looked so fresh, and the vibrancy of his work stacks it up against some of the contemporary masters of the medium. The only complaint I’d posit is that at times, some of the aesthetics seem to mash together, becoming a bit difficult to differentiate from one another, such as with “The Man Who Knew Death” and “A Shocking Way to Die!” Still, this is an incredibly minute complaint, and could probably be attributed to limitations at the time. There’s something undeniably charming about Tales from the Crypt. It’s kind of like listening to tales from a zombified grandfather: His voice is warm, his ramblings morbid, and his eye protruding ever so slightly out of its socket. The upcoming hardcover edition of this collection is a must-have for any fan of not only classic horror, but Golden Age America. Do yourself a favor a crack open this casket of nostalgic spooks. If you dare, of course.